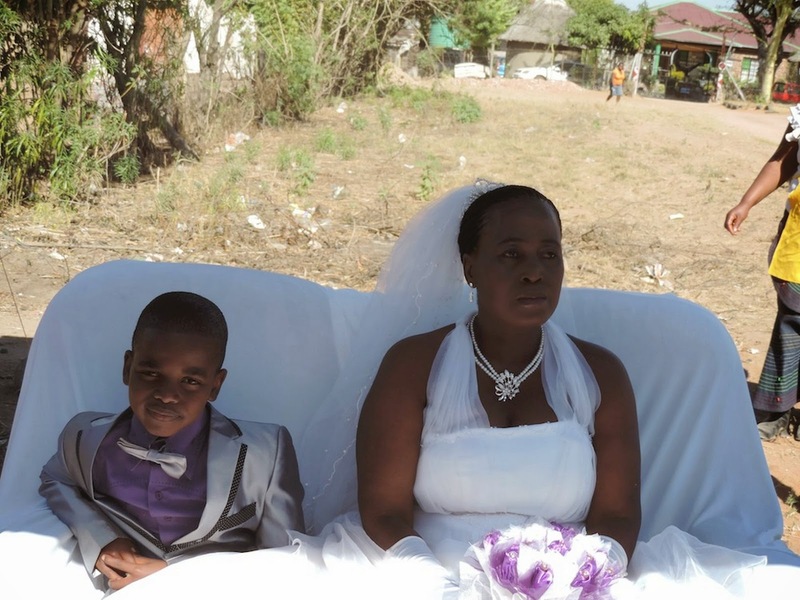 Nine-year-old Saneie Masilela has become the world's youngest groom for the second time after remarrying the 62-year-old woman he tied the knot with last year. 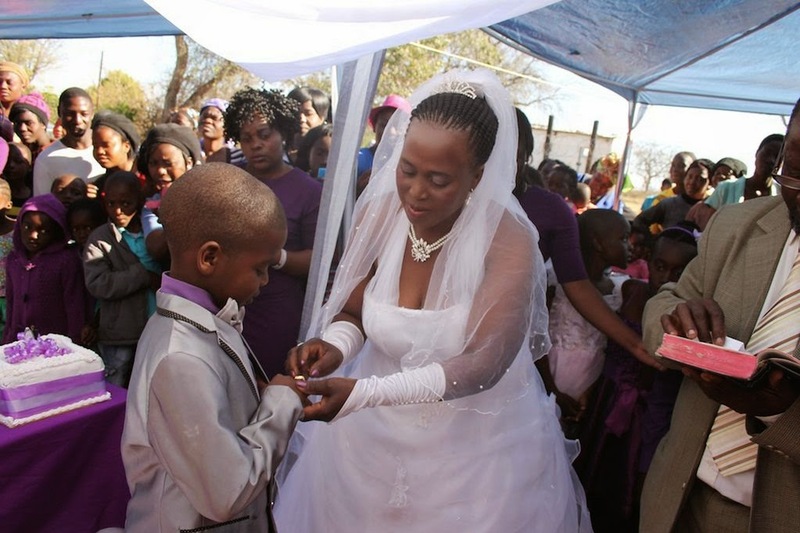 Dressed in a silvery tuxedo, baby-faced Saneie clutched the hand of mother-of-five Helen Shabangu - her children are aged between 28- and 38-years-old - as they repeated their vows a year on in front of 100 guests. 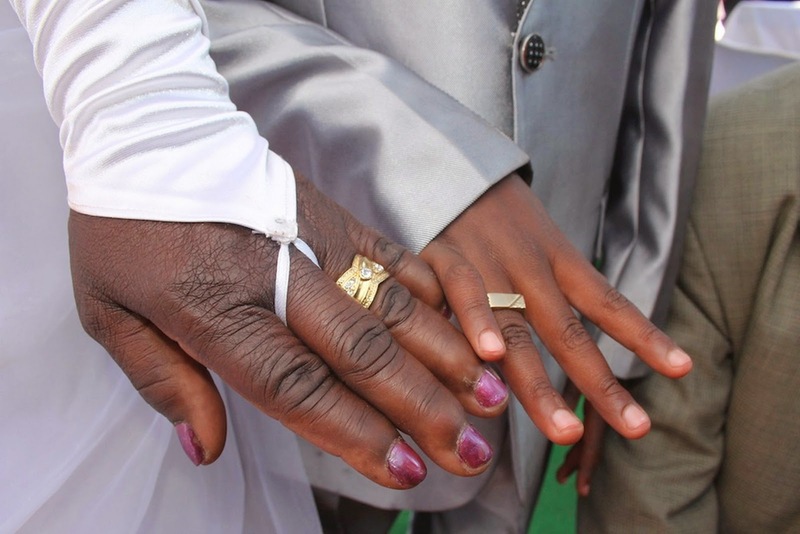 The schoolboy says he did it to make the marriage 'official' but other villagers in Ximhungwe in Mpumalanga, South Africa describe it as "sickening". 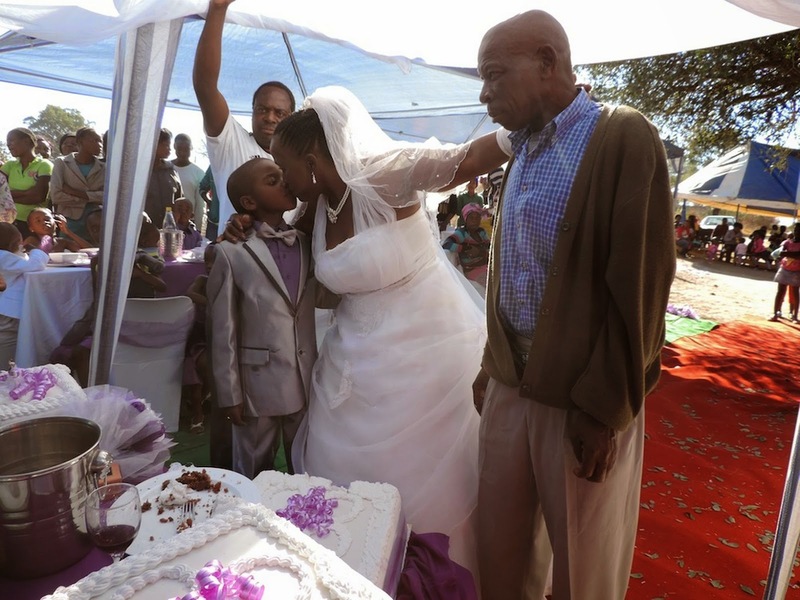 The ceremony - where guests shared a piece of cake - took place in front of Helen's long-term husband Alfred Shabangu, 66, who was there last year as well. 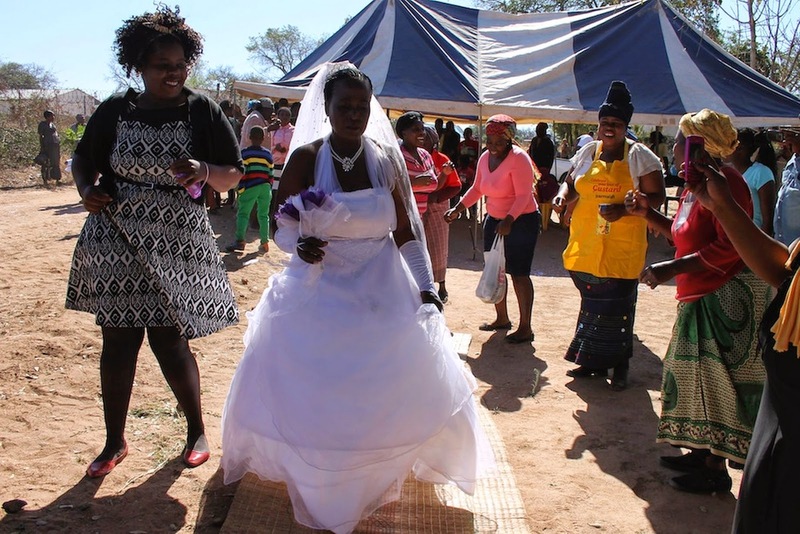 Both families claim the wedding is simply another 'ritual' after Saneie was told by his dead ancestors to wed last year and his parents forked out £500 for the bride and another £1,000 for the ceremony. 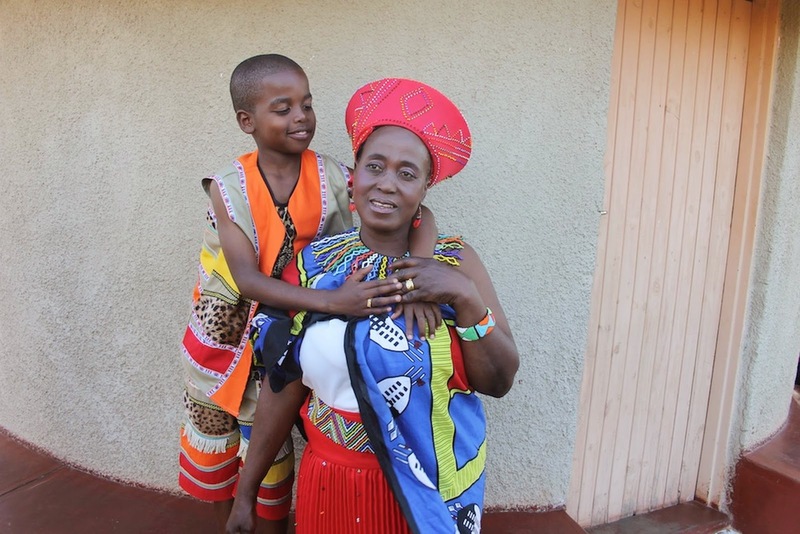 But the schoolboy - the youngest of five children – wanted to follow South African tradition and insisted they have the second ceremony this week to make their marriage official. 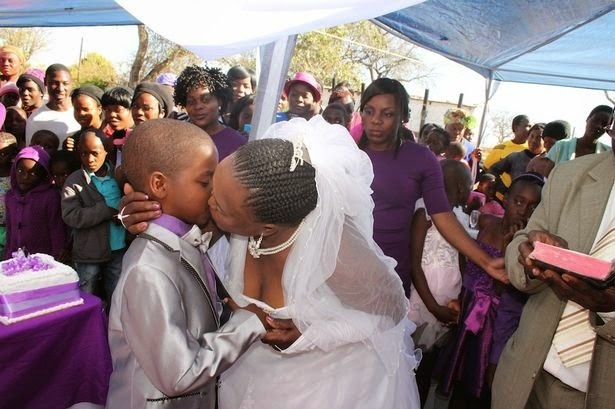 "I'm happy that I married Helen – but I will go to school and study hard. "When I’m older I will marry a lady my own age. I chose Helen because I love her and, although we don't live together all the time, we meet at the dumping site where my mother works regularly." about it. So much so he wanted to do it again. wedding everything went back to normal - nothing changed. learn a new language, but they are very close. Our families are very close. had asked then something bad would have happened in the family."